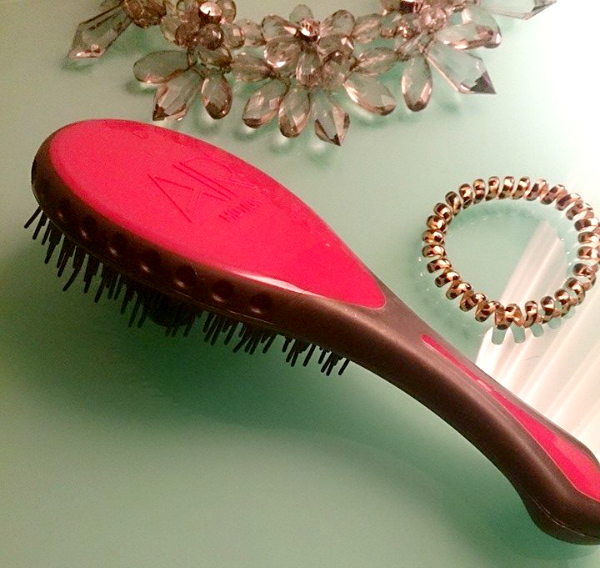 Remember when the Tangle Teezer was the best brush since comb shaped rocks? Do you also remember the amount of times you've inadvertently flung it across the bathroom floor because you couldn't keep a grip on it? The Air Motion Pro is waterproof with a firm grip handle and glides through wet hair and the mattiest of mats with zero resistance. Not only do I no longer dread washing my longer hair, with this lightweight addition to my hair-care arsenal I actually look forward to combing conditioners through my hair WHILE in the shower. You heard. 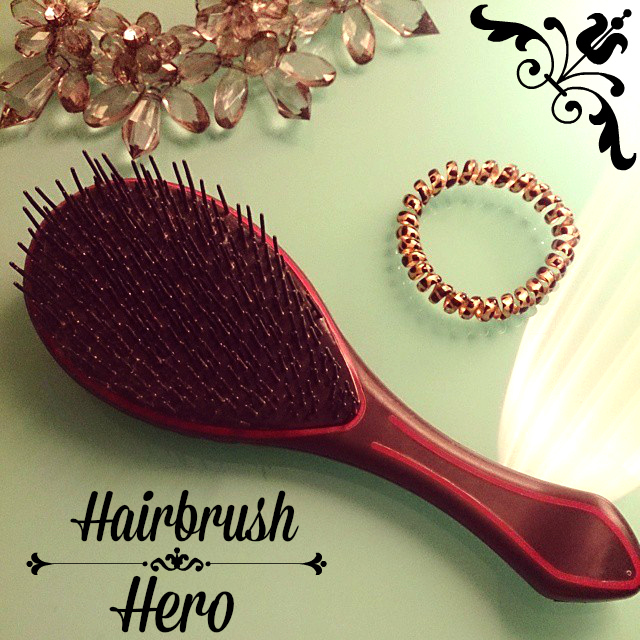 The first difference with the AirMotion Pro is the tri-length rubberised bristles. Not only does the rubber reduce frizz as you brush but the three different length bristles detangle even the thickest or mattiest of hair with ease. I'm talking backcombed, three days of dry shampoo, almost dread forming mats. I know. The non slip grip is also rubberised and suitable for either left or right handed users, a boon when switching hands to blow dry many sections of hair. It's lightweight design means no matter how long that takes, your arms won't be aching from the weight of a heavier brush. Should you have little ones just learning to brush their own hair, I can see the AirMotion being a huge help for little hands. The lads are loving it for styling their own grúaig before heading out and I've even had to retrieve it from Adam's gym bag on more than one occasion. 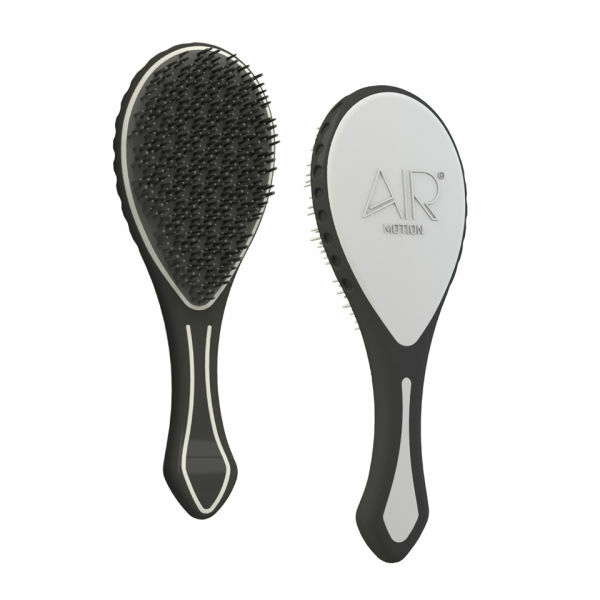 The Air Shock unit (soft padded section that houses the bristles) gives their shorter hair a noticeable shine in just a couple of strokes. In short it's six thumbs up from Casa Cherry. It's love. Should you be in the market for less stress come shower time or a handy addition to your own gym or travel bag, you can pick up the AirMotion Pro for a surprisingly affordable €15.53 (£11.95) HERE - I'll be getting the white version for Ad, to keep his sticky mitts & stinky gym socks off this one!